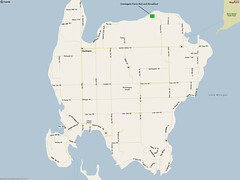 Our beautiful retired fruit farm is located on Washington Island, in northeast Wisconsin, is just off the end of the Door Peninsula and north of the “tension” line. On a day with perfect weather, the ferry from Northport will have you to the island in thirty minutes. 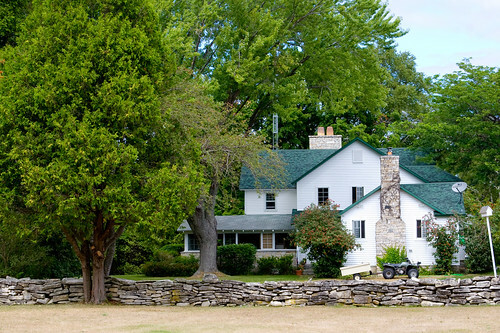 Greengate Farm Country Rentals is situated on the northeast region of the island alongside one and a half miles of pristine lakeshore. Guests at Greengate have direct access to hiking trails, a vast expanse of private shoreline, a beautiful orchard to wander through, and 300 acres of forest and field. 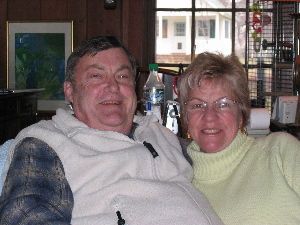 George, owner of the farm with his wife Susan and daughter Amy, has been a HAM radio operator since he was a child. He has created a unique place for himself and other hams to get on the air. If you are a HAM Radio operator, our HAM Shack, devoted solely to radio, is conveniently located so you don’t have a long walk to your accomodations. Every season here has something to offer. Be it flowers in the summer, outstanding fall foliage, deep snows for winter fun, or the brisk weather of spring, Washington Island has it all. 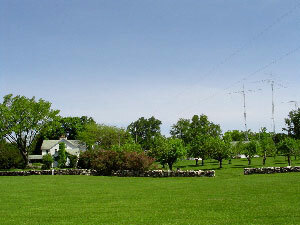 Greengate Farm Country Rentals can be your base to get out and experience this quaint location in Wisconsin. Check the ferry schedule before driving to the island. The ferry departs from Northport and the ride is 30-45 minutes long depending on conditions. You can also leave your car on the mainland and take the passenger ferry over. From the ferry dock on Washington Island, take Lobdell Point Road to the first stop sign. Turn left onto Main Road. Right onto Jackson Harbor Road. Left onto Swenson Road. Continue straight past the stop sign onto the gravel road. At the T junction, take a left through a green gate and proceed straight onto our long driveway. Midway up the drive, you will see signs directing your towards the Office, Apartment, Cabin and Apple House. Please adhere to the 15 mph speed limit on our driveway and watch out for dogs and wildlife! Please contact Susan or Amy Ulm at greengatefarmrentals@gmail.com or call 920-847-2502. Greengate Farm Country Rentals © 2019 All Rights Reserved.